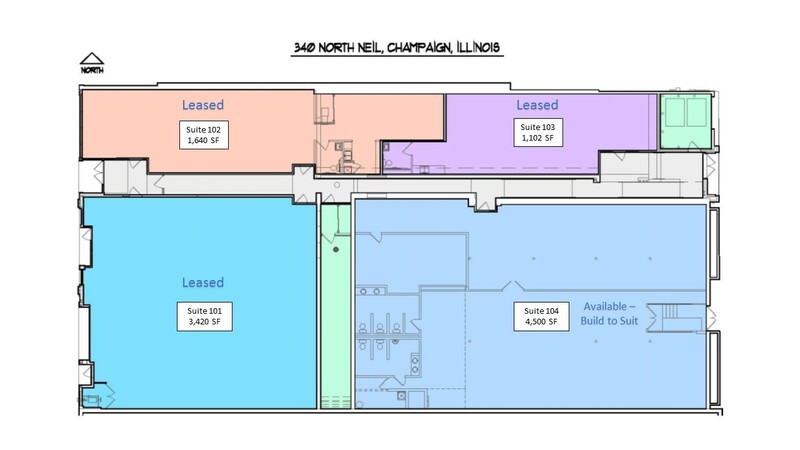 340 North Neil Street is part of the rich history of downtown Champaign. 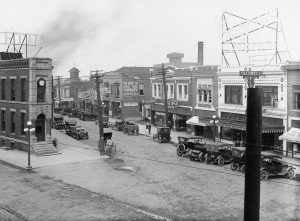 Located next to the Orpheum theater, this address was once home to Overland Cadillac by the G. G. Goll Company on Hickory St. across from what was once the Flatiron Building. The façade of the building has been reconstructed to showcase some of the historic features of the building and add curb appeal for future commercial tenants. The building has been occupied by different businesses and has evolved through the years, and in 2016 it was acquired and now has been redeveloped by One Main Development, LLC. New tenants include Collective Pour and Allure Salon. Currently offering prime Retail space for rent, the Overland building has street access both on Neil St. at the Neil/Washington City Parking Lot and on Fremont St.
Search for details on the retail opportunities at the Overland Building, or contact One Main Management at 217-531-1122.